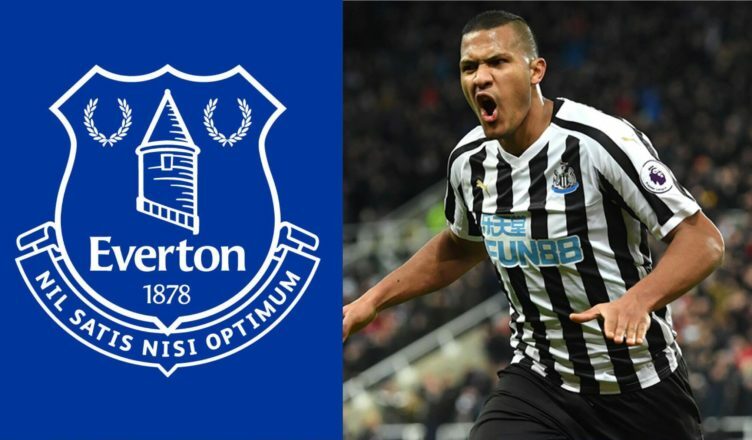 New report reveals what Salomon Rondon has told NUFC after confirmed Everton interest – NUFC blog – Newcastle United blog – NUFC Fixtures, News and Forum. Despite confirmation that Everton have now entered the race to sign Salomon Rondon ‘in recent days’, the Chronicle insist that he’s told everyone at Newcastle United that his first choice is to remain on Tyneside. Rondon has been in superb form for United this season with 10 goals and 5 assists already to his name, so interest from elsewhere was inevitable. His all round play provides the perfect foil for Almiron and Perez, with him excelling in a Rafa Benitez system that suits him down to the ground. It’s clear that he wants to stay – a positive sign – but news of interest from Everton should act as a severe warning. “Salomon Rondon has made Newcastle United his number 1 choice for a permanent summer move – despite interest from Everton in recent days. Newcastle need to do all they can to keep hold of Rondon – a proven Premier League striker is a rare commodity and he is someone Benitez clearly rates very highly. If West Brom do not go up this year, which is a possibility as they are likely to enter the play off lottery, Newcastle can secure Rondon for his £16.5m release clause. A fee that Ashley must surely pay now after seeing how important he is to the team. However, if the Baggies do come up, the release clause would not be active and bidding would exceed £20m – which is a fair price in the current market. We all know though Ashley doesn’t pay market rate for players, especially ones he feels he can’t make a profit on down the line. Newcastle fans will be hoping West Brom don’t stay up and sense can prevail here – we have an excellent, proven player who wants to stay and a manger who wants him to stay too. The likes of Everton would be a good move for the Venezuelan if he can’t stay at Newcastle but the fact he is so keen to stay is extra incentive for Ashley to pull his finger out before it’s too late.